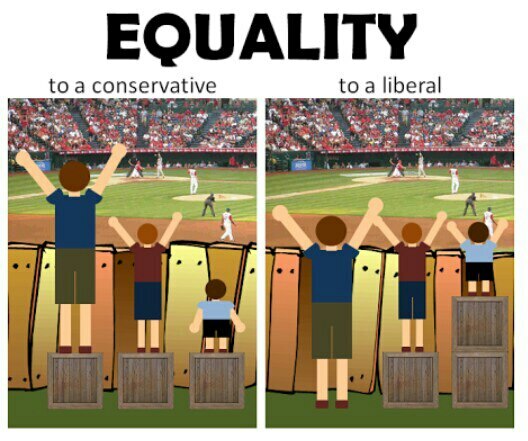 Too often, liberals don't understand Conservatism's great ideas for the People. "Republicans Screw Middle Class Families With Orwellian 'Working Family Flexibility Act.'" Gives private-sector employers the ability to offer their employees the option of comp time or overtime pay, both accrued at 11Ž2 times the overtime hours worked. Federal, State & local governments are currently allowed to offer comp time to their employees, but private-sector employers are banned from doing so by federal law. Requires employers who decide to offer this option to their employees to establish a written agreement with the employee outlining the options and to allow each employee to voluntarily choose the option that best fits his needs. Requires that comp time agreements be included in the collective bargaining agreement negotiated between the union and the employer for any employee represented by a union. Allows employees who choose to accrue comp time to accrue up to 160 hours each year. Allows employees to “cash out” their accrued comp time at the traditional overtime pay rate at any time throughout the year. Maintains all existing employee protections, including the current 40-hour workweek and overtime accrual, and provides additional safeguards to ensure that the choice to use comp time is voluntary. Requires employers to pay employees at the traditional overtime rate for any unused comp time at the end of each calendar year. "The Democratic Underground notes that this isn’t the first the Republicans have introduced this train wreck. In fact, this bill may accomplish numerous Republican goals, one of them is undermining the federal definition of full-time and thereby scoring a hefty blow on Obamacare and the millions of Americans who depend on it for affordable insurance..."
"GOP Congressman outlines goal of new Social Security rule: cutting disability benefits." "The new rule prohibits transferring money between Social Security's retirement fund and its disability fund—something that has been done 11 times in the past to shore up both funds at times when they've experienced a shortfall. "But wonder no longer. GOP Congressman Tom Reed of New York made his goals quite clear in the final minute of the NPR story. "Ina Jaffe: Congressman Reed, who sponsored the rule, says he's only focusing on fixing the disability fund, and since he's against raising taxes, he's looking at ways to cut costs. "That's pretty clear. Reed wants to cut disability benefits for anyone who isn't 'catastrophically disabled.' Rooting out waste, fraud, and abuse is just code for cutting people off. Why? Because Republicans won't consider raising taxes so they claim the only way to pay for disability benefits is by giving them to fewer people..."
...because ever since the elderly Reagan was prez, seniors have been an important part of their constituency! The Cons claim that the core of Conservatism is based on Christianity and something called "family values..."
...which they can back up with a ton of cash from their sponsors. With all that cash and some great slogans, Conservatism is going to rule the world! And every Conservative in America can applaud for those who stick up for the People! Conservatism is all about class warfare, restoring the upper class to it's place of power, and protecting and increasing their obscene wealth. No Con believes in a "living wage," and no Conservative leader is going to let the middle class reclaim it's previous financial power. Conservatism is evil, it's immoral, it's anti-American AND it should be criminalized immediately before it's too late and the middle class is doomed. government to intervene anywhere, you’re an extremist."